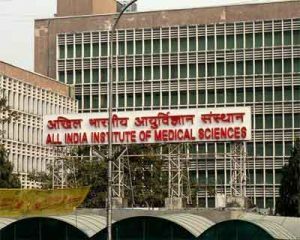 Bhopal: Some latest machines including MRI, CT scan, Digital X-ray services have been introduced at AIIMS Bhopal in order to cater patients and enable their obstacle-free examination within the hospital premises. The facility established costs around Rs 20 crore. As reported by The Hitavada, the facility was inaugurated by the Union Minister for Health and Family Welfare, J P Nadda on Saturday. The devices will further help patients as well as doctors in accurate examination. The MRI facility which is recently established there is enabled with an ultra-short magnet with 48 channels system that caters patients and the examiners with better neuro-imaging along with 4G technology. The facility is also provided with high density coils that delivers exceptional quality and speed in the process of Magnetic resonance imaging (MRI). The MRI machine will be used for body, cardiac, orthopaedic, oncology and breast imaging. It is also confirmed by the hospital that the facility will be provided to the patients on nominal charges. Another machine, CT Scan 128 Slices which will be used for dual source CT Scan will help in performing accurate scan of patients without sedation and will not require holding breath during the process. This will especially help in performing chest examination on toddlers and infants while they are awake and even if they are agitated or crying. At present the facility will be made available at the hospital for all the patients for test run while later on it will be only stationed at the trauma and emergency centre for patients coming there. After the test run is over and approving license from AERB is attained, the machine will be made available for public. A Digital X-ray system ranging 1000mA is also introduced by All India Institute of Medical Sciences. This facility will be made available for patient examination on regular basis (24×7) after accessing the license from the approving authority AERB. With respect to ease blood availability within the hospital during emergency, the institute has also established blood storage facility within its premises. The blood will be accessed from Hamidia Hospital Blood Bank for this purpose. However the facility now requires approving license from the authority, the process for which is initiated from the institute’s end. Another facility associated with AIIMS is also initiated that a AMRIT pharmacy will be developed by HLL Lifecare Limited which will provide Implants, Prosthetic devices and Generic Medicines at reasonable prices. The facility will be available for AIIMS patients as well as patients coming from outside along with valid prescription. Along with these facilities, 30-bedded medicine and gynaecology wards, family planning Operation Theater and computer based (PCS) patients calling system is also established at the registration counter at the institute to aid public. As last updated by TOI, patients as well as the doctors have to wait for taking the benefits of the latest inaugurated CT-scan machine as they will remain non operational till the license is attained from the regulatory authorities for its functioning. At the same time, the MRI machines was also not operational on Monday due to lack of manpower to make it functional.